Facebook Messenger Lite app that was launched October last year has just hit a new milestone on Google Playstore. 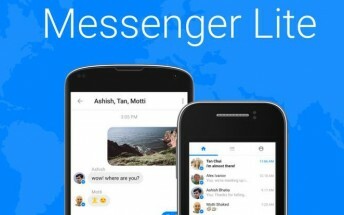 Playstore has revealed that Messenger Lite now has over 100 million downloads. This is a great figure there and success for the company. Just within a year it got over 100 million downloads/installs on Playstore. Messenger Lite app is designed to run on poor network connection as it doesn't eat up data, it doesn't take much resources, doesn't eat up RAM and also battery. It was made available to some countries with poor internet connection which Nigeria was included. Just in October 2017, the app officially arrived in the US, UK, Canada, and Ireland. Hopefully, it would be available globally sooner or later. You can download Messenger Lite app Here from Playstore. Congrats to the fb team, nice work.